I use tarot cards and my intuitive psychic ability to sense you and to give you an accurate reading. I only ask you to be open in mind and spirit. I will be as accurate as possible with time frames. Nice to catch up with Shelley! She is always spot on and it very quick and to the point. Does not waste time neither your money! what she has told me so far mostly seems to be true or is coming true as we speak. Kind, helpful and has been mostly accurate with timing! Welcome to my page! 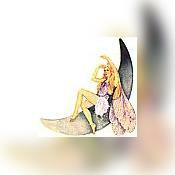 I'm Fairy Shelley. I'm here as your guide to questions and problems. I use tarot cards and my intuitive psychic ability to sense you and to give you an accurate reading. You'll feel like you're talking to your best friend. I only ask you to be open in mind and spirit. I want you to be comfortable with what Im seeing and telling you. I will be as accurate as possible with time frames. I will tell you if I cant give you a time frame and why. Together we will see all that is coming for you in the future. I treat all those who call like my best friend with a special talent of being intuitively psychic and reading Tarot cards. I always look for the good in the future but will warn you if there is something unhappy coming your way. This way you will be prepared and can avoid it all together. So be open in mind and spirit for the things that are to come and for what I and your Tarot cards see for you. I will not tell you what you want to hear but what is truly there in your Tarot reading. So call now if you would like help with your special someone. Have questions about what is happening with your career. Or if you're wondering if you're every going to meet that special person, who will share their life with you. I have been doing tarot card reading since a small child. I now share my gift with others. I'm very much into the spiritual side of living. I have found balance in my life from doing my craft and being true to myself. Finding balance in ones life is always a challenge, yet is rewarding when achieved. I look forward to teaching and guiding you to finding the same balance and happiness in your own life. I'm not hear to tell you what you want to hear but what I truly see. Remember that when your getting your reading. Love will begin to bloom. When will it start for you? I look forward to helping you find the happiness you are looking for in your life. Here for your love, career and problems! Call Now! Schedule: Monday ~ Friday ~ 6:30am to 4:30pm. Love and light. Fairy Shelley has been a user of Keen since 2001. Getting Love & Relationships advice from Fairy Shelley through www.keen.com is safe, secure and confidential.